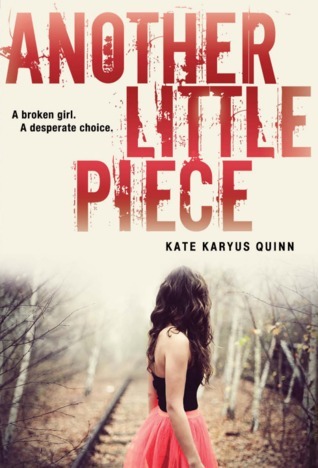 The spine-tingling horror of Stephen King meets an eerie mystery worthy of Sara Shepard's Pretty Little Liars series in Kate Karyus Quinn's haunting debut. On a cool autumn night, Annaliese Rose Gordon stumbled out of the woods and into a high school party. She was screaming. Drenched in blood. Then she vanished. A year later, Annaliese is found wandering down a road hundreds of miles away. She doesn't know who she is. She doesn't know how she got there. She only knows one thing: She is not the real Annaliese Rose Gordon. Now Annaliese is haunted by strange visions and broken memories. Memories of a reckless, desperate wish . . . a bloody razor . . . and the faces of other girls who disappeared. Piece by piece, Annaliese's fractured memories come together to reveal a violent, endless cycle that she will never escape—unless she can unlock the twisted secrets of her past. Another Little Piece is unusual to stay the least. The story follows seventeen year old Annaliese who has just been found 1500 miles from home after having been missing for a year. However Annaliese's triumphant return comes with a catch. She has no memory of the girl she once was nothing, zip, zero, zilch. While everyone around Annaliese brushes her concerns aside attributing them to her ordeal, one boy will stop at nothing to help Annaliese remember who and what she really is. It's really going to be hard describing in detail what goes on in this story without spoiling it. I know a lot of people have stated they felt Another Little Piece was like Jennifer's Body but not me. No, I took it back further and if you've ever watched the show Buffy The Vampire Slayer I see a direct likeness to the story of Anya who was a Vengeance Demon and Xander who at one point casts a spell to make all the girls fall in love with him. I know, I know, it might be a stretch but seriously it is all I could think about from the middle of the book onwards. While I certainly found Another Little Piece good I was definitely left confused more times than I care to count. First off you have Annaliese who is confused, scared and convinced she's a monster. Then you have Dex who is Annaliese's creepy stalker neighbor/love interest who can also see dead people. Next up is Eric and Logan. Both boys are obsessed with Annaliese but for completely different reasons. Not to be outdone you also have the mysterious physician and his sisters who may or may not be the fates and Hades in disguise. To top all this off you have the whole I eat hearts for fun (OK not really fun) aspect which on the one hand is deliciously creepy but on the other isn't really explored enough. Each alone they could've been great but together it was just a bit of a hot mess. Remember how I mentioned Jennifer's Body above? Well, I definitely feel this book was written in a movie mindset. Every plot point was given just enough information to wet the palette but no meat to really sink the old teeth into. Had I been able to see the scenes unfold clearly instead of being alluded to or glossed over the story probably would of made much more sense. In all honesty, by the end of Another Little Piece I was just ready for the book to be done with. I was left feeling more than just deflated and disappointed. I felt downright bummed. Another Little Piece had so much potential and rather than build upon that it instead squandered it on unnecessary romantic elements, plot points that were just dropped and an ending that just seemed a bit to neat and tidy for its own good. Such a shame considering Another Little Piece has one of the strongest openings I've read in quite some time. The set up was brilliant, unnerving and best of all left me wanting to know more. I really believe if the story could have held that momentum and focus the entire way through it really would of been a great not just good book. Overall, despite the flaws I would still recommend picking up Another Little Piece and giving it a go. The writing was lovely and If you like mysteries then this is definitely the book for you. 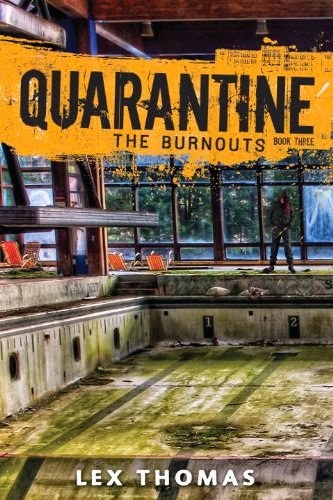 I wholeheartedly believe the Author could become the next big thing in Horror if she wanted to. The potential is certainly there at least. With that being said, I will be rating Another Little Piece by Kate Karyus Quinn ★★★★.